“Though the causes of disease are generally ignored by conventional medicine, we do have a history of doctors who agree that the primary causes are associated with acidic emotions, toxicity, congestion, and malnutrition. These conditions gradually alter and weaken our internal environment. Once that environment reaches certain acidic polluted levels, disease cycles are initiated. The survival of every animal, bird, fish, plant, and cell, whether it is bacteria, yeast, or protozoa, depends entirely upon its environment. There is only one sickness, one disease and one cause – the over-acidification of the blood and then tissues due to an inverted way of living, eating and thinking. There is no other cause for disease but acidity. The intestinal tract or better said the alkaline buffering system is the hub of our entire body – all organs, glands, even our brains, heart, and cells are totally dependent upon a good functioning alkaline buffering or digestive system. In the Western World, most people have polluted their bowels with filth unimaginable and weakened their digestive function. When the alkaline buffering or digestion is off, even good food can become acidic. As long as this filth remains within, our bodies grow weaker and we can become more and more prone towards deficiencies and acidic disease. Mucoid plaque is automatically secreted in the presence of acids, and other irritants and at first serves as a protection. But for those who have followed the standard American lifestyle, which is acid producing, it is common for mucoid plaque to form a continuous coating, arranged in layers, over the small intestine, stomach and the colon. When the mucus (mucin) is secreted, it coagulates and can compound with other elements, forming an increasingly firm and toxic substance. pHlush powder can be an excellent choice if you want to support and maintain your intestinal system against the acidifying effects of nutrition. Magnesium and vitamin C contribute to the reduction of tiredness and fatigue, and be involved to the energy producing processes. Marshmallow supports the health of gastrointestinal system as well as the better bowel movements and the physical well-being. Ginger has stimulating and tonic effect. It contributes to the vitality and the improving of energic lifestyle. Furthermore it has antioxidant effect. Beside this it supports the digestion and contributes to the normal intestinal functions. Ingredients: Magnesium-oxide, sodium bicarbonate, ascorbic acid, slippery elm bark, ginger, marshmallow root, Rumex crispus. Recommended daily amount:1-3 scoop (4-12 g) powder with a glass of water. Es un suplemento que me ha ido muy muy bien utilizarlo durante algunos días como laxante, pues el efecto era inmediato; pero en mi caso, no me reguló el tránsito de forma constante, sino que al dejar de tomarlo, volvían mis “problemas con el wc”. De la alcalinización de la que habla el fabricante no puedo opinar, pues no me he sometido a “pruebas” que puedan demostrar que realmente cumplió esa función -dejando a parte la polémica que existe con este tema-. En definitiva, me fue más bien como laxante que como reconstituyente. El sabor es relativamente agradable; algo dulzón, pero de costosa disolución, por lo que yo lo tomaba tras agitar la mezcla del producto con agua dentro de un tarro de cristal. ¿Me ayudas a mejorar mi blog respondiendo a este cuestionario? 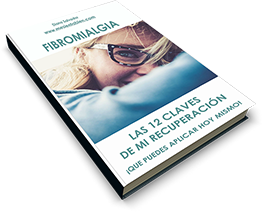 FIBROMIALGIA Y FATIGA. DIFICULTAD PARA PENSAR. Abogada y diagnosticada de fibromialgia. Quiero ayudarte a mejorar tu salud para que puedas vivir, por fin, la vida que te mereces. Te animo a que empieces hoy mismo a seguir mis Pautas de salud. Enhorabuena, ya te has inscrito! TRAS SUSCRIBIRTE RECIBIRÁS UN EMAIL PARA CONFIRMAR LA SUSCRIPCIÓN.